Are you ready to start your own business? Don’t let your ideas and dreams go to waist implement them and create your own empire. Having your own business is not that easy but not impossible. If you dedicate yourself you can accomplish anything you want. There has to be planning before you launch, and it’s crucial to hire the correct Accounting Firm to guide you through this process. Fornaris & Ledesma Accounting will assist you every step of the way. Our Accounting firm has extensive experience in helping business owners establish operations. The first step is to incorporate. Fornaris & Ledesma Accounitng will incorporate the right entity for you. Whether it is a C or S Corporation, LLC, Partnership or Sole Proprietor, we will determine the best business structure for your specific circumstances.Determining the correct business structure is a 5 minute process that involves us asking a few key questions about your operations. 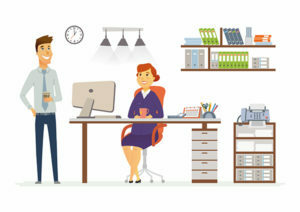 Once the correct business structure is decided, our accounting team will complete the process by forming your C or S corporation, LLC, Partnership or Sole Proprietorship, including securing your new Employer Identification Number and other paperwork so you may commence operations and open bank accounts. We will also assist you with maintaining your books and the required tax filings going forward so you can remain in compliance and minimize your taxes.We have a lot of experience and know exactly what to do so it’s a smooth process. Don’t let nothing stop you contact us today to incorporate!